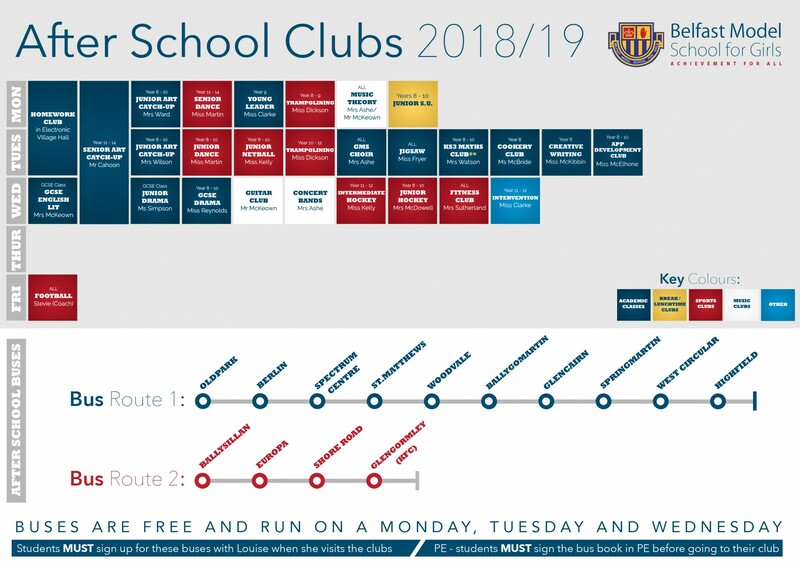 Our After School Clubs programme is now available. 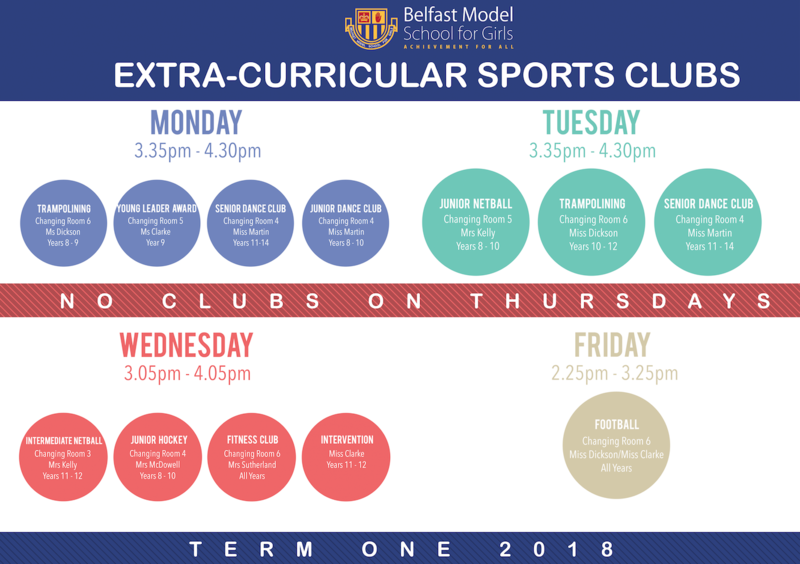 The extra-curricular programme at the Girls’ Model is designed to offer all students the opportunity to have fun, build networks of friends, learn skills and develop their social communication outside of the normal classroom setting. Buses are free and run on a Monday, Tuesday and Wednesday – students MUST sign up for these buses with Louise (Hub) when she visits the clubs. PE students MUST sign the book in PE before going to their club. Not all activities are after school hours as some run at lunchtimes during the normal school day. Extra-curricular activities are broadly based on sport, creativity, music and enterprise. All students are very welcome to attend the activities of their choice and are encouraged to do so. Many of our students find that participation in extra-curricular activities helps them to show their suitability for university places during the UCAS application process and also when applying for employment.